We offer a variety of amenities for your special friends. 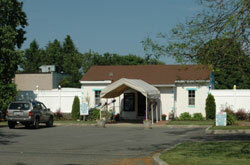 Kennel/Boarding, Grooming, Training and Cozy Camp are just a few amenities. Ask us about our Pick-up and Delivery Service. Cozy Noses offers Pick-up & Delivery service. Please call for furthur details about this time saving service!